I didn’t even know Svalbard existed until two years ago. Because it was was so recent, I remember the moment I first became aware of the place. I had pulled up Google Maps and was playing one of my favourite games: Where would I like to travel to next? It’s pretty self-explanatory – I look for places of interest on the map and from there, sort them into three different lists. One is for countries or cities I’m likely to visit within the next few months. Another is for places that are part of my ten year plan (I can’t think further ahead than that). And the last list is reserved for places that would be lovely to visit, but are probably out of my reach, usually for financial reasons, or ease of access. I’d had no idea that this archipelago at the top of our globe was somewhere that a person like me (ie not a scientist or Russian miner) could actually set foot on. As it turned out, Svalbard – noticeably Spitsbergen, the largest island, has a small but steady tourism industry, which is growing in size. I had, however been to Norway before, visiting Oslo in late 2015. A handful of days in that city had rinsed me. I figured a trip to Svalbard would cost an unholy amount of money and tried to put the idea out of my mind. 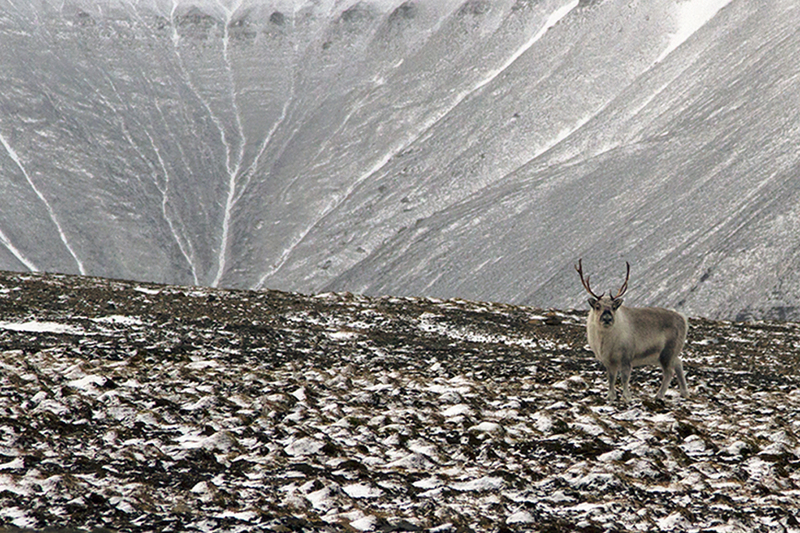 One of Spitsbergen’s resident reindeer spotted us out in the wild. The first trigger was seeing some colleagues get sent there for work. They came back with oodles of footage that I had to trawl through (I’m a video editor IRL). I got FOMO and started plotting. The second was losing our home and subsequently making the decision to return to Australia. If I was heading home and leaving Europe for now, then I wanted to go out with a bang. 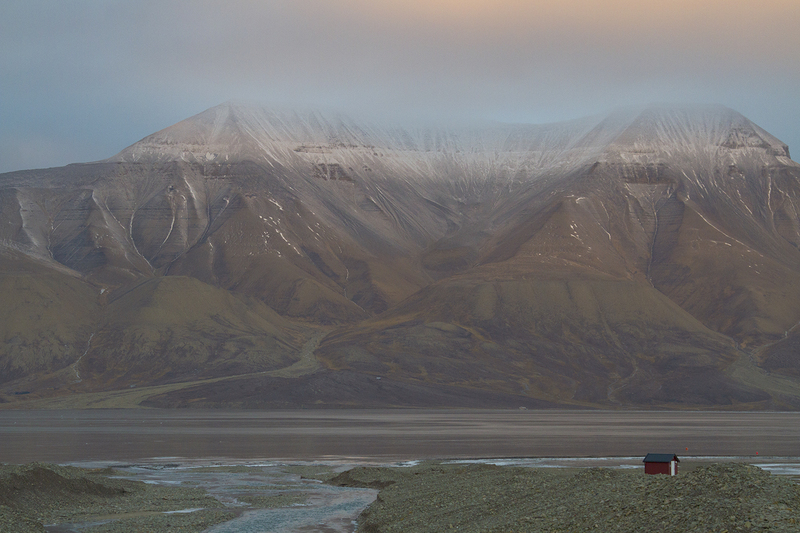 A visit to Svalbard fit the bill. So, I started researching. And as it turned out a trip to Longyearbyen, whilst pricey, wasn’t as jaw-droppingly expensive as I had thought it to be, for a number of reasons. And these reasons make it more than worth taking the time to backpack to. Norwegian Air offer flights to Longyearbyen, direct from Oslo and Tromsø. They are my favourite budget airline ever and I would fly everywhere with them, if only I could. We chose to travel there in the shoulder season. Most visitors to Spitsbergen come during the summer, to experience the midnight sun, or the polar night – when the entire island is cloaked in never-ending darkness. In that regard, October is largely considered to be the “off” season. 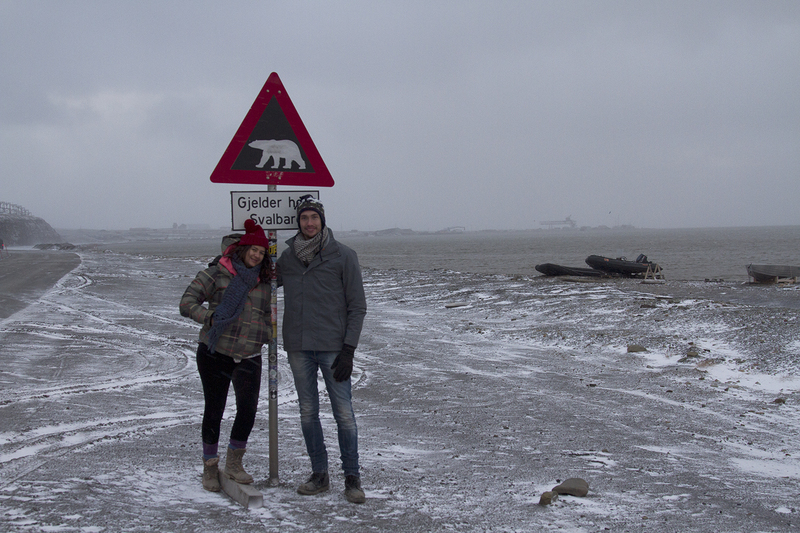 Although we missed out on a few things that would have gnarly – seeing polar bears, snowmobiling and taking a ship up to Pyramiden (which was once a Russian settlement and is now a mostly abandoned ghost town) – we still had a ball. It was such a lovely time to visit. The sun would rise at around seven – not that you’d see it, but the light would still peak out over the mountains, casting a glow upon the land. At around lunchtime the sun’s light would move seamlessly from dawn to dusk. The change was incredibly noticeable at this time of the year, with sunset moving to around twenty minutes earlier merely in our handful of days there. Another way I saved money was to borrow as many winter clothes as possible. Despite my love of the cold, I’m a solar-powered Australian and my wardrobe reflects that accordingly. I don’t really have a lot of thick socks or thermal underwear. My fur-lined Timberlands have kept my feet snug in Iceland and Norway and I’ve made it through two (admittedly mild) English winters without a proper coat. I knew my stuff wasn’t going to hack it in the Arctic Circle. Luckily, I have a lot of lovely, wonderful friends who do things like go skiing and visit Russia for work and were able to lend me their various coats and winter woolies. 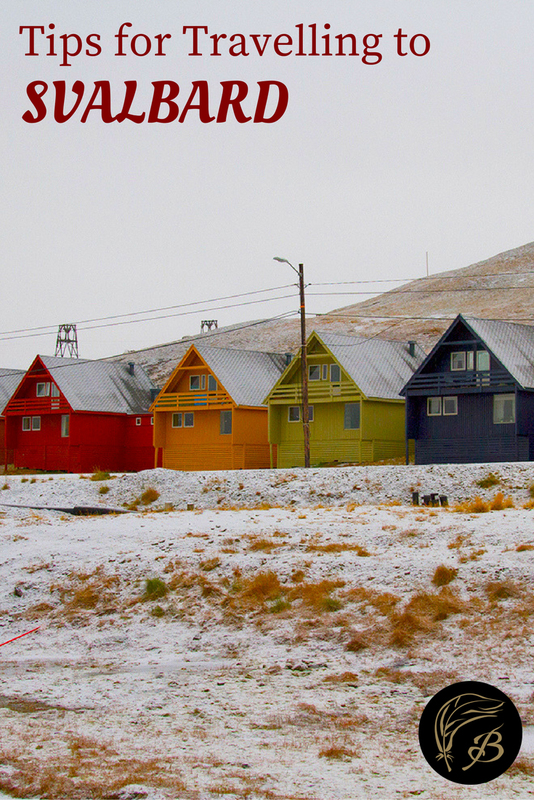 Svalbard was still unsurprisingly the coldest place I’ve ever been to. I’ve never written a packing list in my life, but I’ll be sitting down over the next few weeks (aim big with your goals, everyone) to write what will I expect be an extensive blog post on the matter, owing more to my tendency to ramble than anything else. The city limits – no one is allowed to step past this sign without a gun, for fear of getting attacked by polar bears. Lastly, I treated this trip as a once in a lifetime opportunity. I’ve never liked the labels of being either a “budget” or a “luxury” traveller, for many reasons. People’s travel styles will change, along with their budgets for one. And they change with the place. There are some destinations that I’d fly to and wouldn’t hesitate about budgeting. Yet, I had three whole days in Svalbard – I doubt it’s somewhere I’ll ever get to go again and I wanted to see and do as much as possible when I was there. So, I didn’t hold back – I ate what I wanted and did the activities I wished to do. It was worth every penny, or kroner as it were. Sometimes I travel to places, come back and I’m not sure what to write about, so I often don’t. Svalbard was not one of them. There’s about ten million more things I wish to write about this wild, wonderful and mystical place, so be sure to check back soon. You can always like the Birdgehls’ Facebook page for more regular updates. I’m having more fun with that thing atm than I care to admit. Looking forward to hearing about those ten million things! You will! Keep the comments coming ? Hi Julie, wild weather kept us from getting on board a boat! Hope you have a brill time, hope to make it there one day. Hello. This is my first timer to visit winter. I come from very tropical area in Indonesia (south celebes). And yes… i was very curious about svalbard. Thanks for your blog. I can brave enough to go there.